Artist Wilma Johnson, 42, was living in a fishing village in County Kerry, playing earth mother to her three children and surf widow to her husband, when she had an epiphany. ‘People talk about a mid-life crisis as a negative thing but for me it’s all about taking stock of where you are and realising there are more things you want to do. I wanted to prove I wasn’t too old to take on the world and, for me, that meant surfing.’ With husband and three children in tow, she made the leap from Ireland to glamorous Biarritz, before splitting up with her husband and learning how to surf. 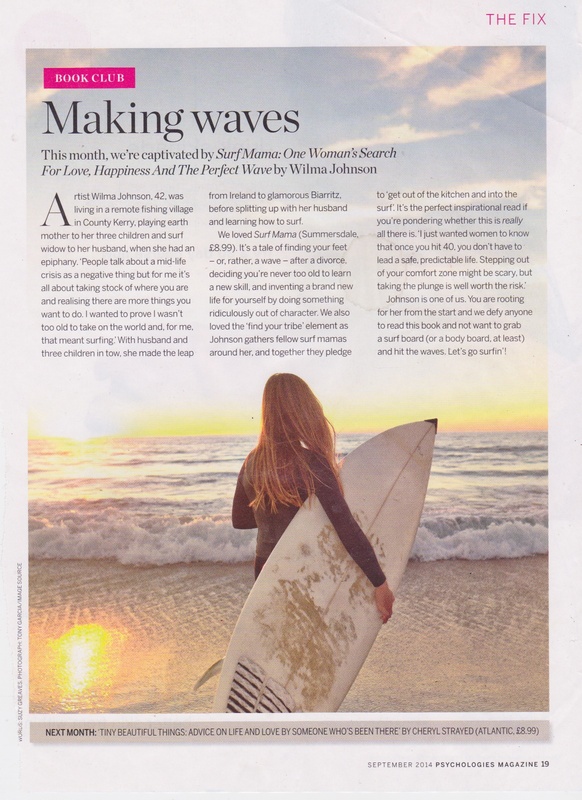 We loved Surf Mama: One Woman’s Search For Love, Happiness And The Perfect Wave (Summersdale, £8.99). It’s a tale of finding your feet – or, rather, a wave – after a divorce, deciding you’re never too old to learn a new skill, and inventing a brand new life for yourself by doing something ridiculously out of character. Johnson is one of us. You are rooting for her from the start and we defy anyone to read this book and not want to grab a surf board (or a body board, at least) and hit the waves. Let’s go surfin’!